Several people have claimed to have flown powered aircraft before the Wright Brothers, it is thought that their flight in the aircraft (The Wright Flyer) was the first powered flight of a heavier-than-air aircraft. 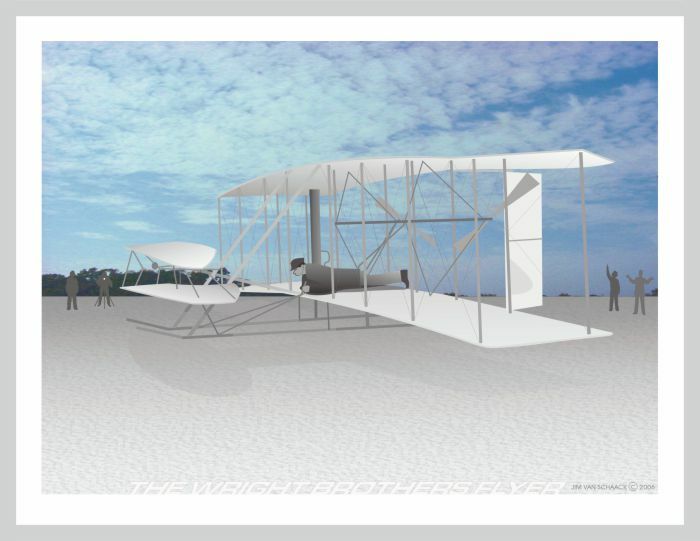 In fact in November 1905 Wilbur Wright flew the Wright Flyer II a distance of three miles near Dayton, Ohio. Orville and Wilbur Wright, the two American brothers who were inventors, and aviation pioneers were credited with inventing and building the world’s first successful airplane. Most importantly, they made the first controlled, powered and sustained heavier-than-air human flight on December 17, 1903. The brothers developed their flying machine into the first practical fixed-wing aircraft between 1905 and 1907. The brothers were not the first to build and fly experimental aircraft, but they were the first to invent aircraft controls that made the miracle of fixed-wing powered flight possible.